Whilst formulation strategies to prevent oxycodone abuse are coming online, developments in overdose treatment are required in parallel, especially considering that many overdoses occur away from trained medical support. We discuss how freeze-drying can be used to develop a potentially novel way of treating opioid overdose. This approach still delivers the accepted opioid antagonist, naloxone, but by an administration route that allows first responders to be more effective before medically trained personnel are available. 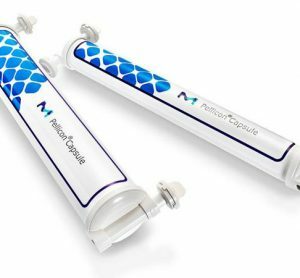 Our naloxone delivery technology is a good example of freeze-drying as a challenging but potentially rewarding development approach for the reformulation of high-impact or high-value medicines. Cases of opioid overdose are increasing worldwide and are a significant cause of death. For example, in the US over 33,000 deaths were attributed to opioid drug overdose in 2015 alone.1 This compares to an estimated 24,450 deaths from leukaemia in the US in 2015, and 40,290 breast cancer deaths.2 Thus, in the context of public health, pharmaceutical research and investment into treatments, opioid overdose should receive support equivalent to that of more well-recognised diseases. Naloxone is currently the only recognised active pharmaceutical ingredient (API) for the emergency treatment of opioid overdose. It is a highly effective opioid antagonist, but must be delivered rapidly to the systemic circulation of unconscious overdose victims to prevent a fatal outcome from respiratory depression.3 Naloxone injection is currently licensed for intravenous and intramuscular administration and is available in two concentrations: 0.4mg/mL and 1mg/mL. Kits for nasal spray administration have been introduced in ambulance services and clinical trials, but the use of nasal naloxone remains off-licence because supporting pharmacokinetic data is lacking.11 There are concerns about the clinical adaptation of nasal liquid formulations,11 so other non-injectable options need to be considered. An alternative approach would be the delivery of the naloxone via the buccal route, in a tablet that adheres and disintegrates within the inner cheek. Administration in this format would be relatively straightforward and could be carried out by a non-specialist: with the patient lying in the recovery position, a tablet could be passed into the cheek area by pulling back the outside of the cheek with one hand and placing it inside, thus avoiding the teeth. Are more chemically stable and portable than liquid-based nasal spray formulations. Orally disintegrating tablets (ODTs) aim to release their API within 60 seconds of self-administration in the mouth. These solid dosage forms tend to be small tablets – either with a porous structure, or containing excipients that swell extensively when in contact with oral fluids. Some of these tablets are designed to deliver their drug specifically to the oral cavity. However, the majority of ODT-based medicines are designed to be swallowed without drinking water and to have a faster onset of action than traditional tablet forms. ODTs that are designed to swell rapidly typically contain super-disintegrants, which are polymers with a great affinity for water. This group of excipients includes: modified corn starch; carboxyl methyl cellulose; microcrystalline cellulose; sodium starch; crospovidone and croscarmellose.12 Penetration of water into the tablet matrix requires significant rearrangement of the intramolecular packing within the polymers’ organisational or three-dimensional structure. The required expansion and increase in translational mobility leads to swelling and fragmentation of the compressed monolith. The thermodynamic driving force is the increase in the solvent polymer’s non-covalent interactions and the entropic advantages inherent in the increased polymer mobility. API within these formulations may be initially combined with a super-disintegrant and a binder by spray drying, extrusion or granulation, but direct compression is required at the end of the process in order to form a stable tablet. The formulator’s challenge is usually controlling the physical form of the API, as unstable amorphous forms are often created when drugs are spray dried or extruded. In addition, such formulation strategies are restricted to doses no higher than 50mg, owing to the diluting effect of the required excipients. Zydis, developed by Scherer, is the now classic example of an ODT delivery technology based on freeze-drying. Freeze-drying creates a highly porous solid structure that allows the rapid ingress of water and thus fast disintegration. Polymers such as dextran or alginates are used to provide structural integrity. Mannitol is used to provide a strong framework, as it phase-separates to form a crystalline network. Gel-forming materials such as glycerin are added to prevent shrinkage during the freeze-drying stage, as well as to help maintain the suspension after disintegration. Imodium Instants use this technology to rapidly deliver loperamide HCl for the rapid relief of diarrhoea. Phase separation and the presence of a large fraction of crystalline material often lead to grittiness or incomplete dissolution for some formulations. A higher amorphous content may avoid incomplete dissolution. Taste masking is often required when developing new freeze-dried ODTs, as the drug is released close to the patient’s taste buds. Such formulation issues have not restricted the frequency of patents filed for ODTs, with a steady stream being filed every year. For example, orally disintegrating tablets containing mirtazapine and fast-release solid oral formulations of entecavir were patented in 2013. More than 55 products currently have marketing authorisations in the United States, European Union and Japan, especially for paediatric and geriatric patient groups, for whom swallowing difficulties can increase non-compliance. 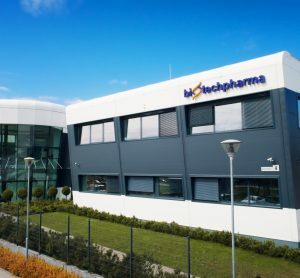 New formulations based on ODT technology for naloxone and buprenorphine are under investigation in several laboratories. Furthermore, ODT technology has recently been incorporated in an abuse-resistant formulation for treating opioid dependence (US 9259421 B2 2016). Water is the solvent of choice for freeze-drying. An aqueous solution of drug and excipients is exposed to a freezing cycle that ensures appropriately sized ice crystals are formed, which separate from the remaining freeze concentrated solid amorphous matrix (Figure 1). Occasionally, a eutectic mixture may form, but in both situations when the temperature and pressure are reduced below water’s triple point, ice will directly sublime to water vapour, (primary drying). Water vapour is removed via a condenser located close by. Figure 1: Schematic of the freeze-drying process using blisters wells: Example parameters used to produce naloxone instantly disintegrating buccal tablets: freezing, -20°C; annealing, -80°C; primary drying, -40°C at a pressure of ≤ 0.01mbar; secondary drying, ramp from -40°C to 25°C, ≤ 0.01mbar. Salt forms of weak bases, eg, naloxone HCl, are excellent candidates for the development of freeze-dried formulations, as they possess the required water solubility.13 The drug content of freeze-dried ODT formulations tends to be low, in the region of 1-10mg, which is a consequence of the low tablet density. Such levels require feed solutions in the region of 5mg/mL if the drug solution is dispensed and frozen within blister packaging. This is the case for Imodium Instants, containing 2mg of loperamide HCL, where the tablet is freeze-dried within the blister well. Therefore, such technologies are restricted to drugs with relatively high solubilities. However, many new drugs fall into class II and IV of the biopharmaceutical classification, with low aqueous solubility below 1mg/mL. Thus, poorly water-soluble drugs require organic solvents in order to achieve the required concentration in the feed solution. 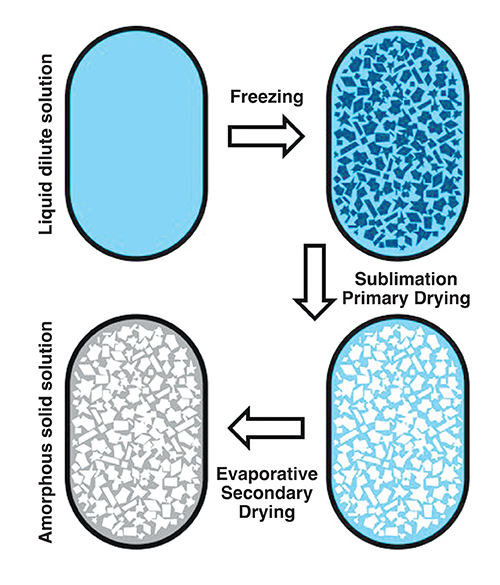 Following sublimation, secondary drying removes the non-crystalline water absorbed within the freeze concentrated amorphous matrix (Figure 1). The product’s temperature during both drying steps must be carefully controlled in order to avoid collapse. During primary drying, the freeze concentrated amorphous matrix has a glass transition temperature (Tg), and if the temperature of the matrix is raised above Tg the reduced viscosity and increased mobility will force the ice to begin to melt back into the product, softening its structure and causing it to collapse under the product’s own weight. Cryo-protectants are usually added when freeze-drying large biological molecules, to avoid structural disruption and degradation during initial freezing. These sugars, polymers, and occasionally amino acids, lower the impact of ice’s phase separation by thermodynamically discouraging drug aggregation and unfolding, increasing local viscosity and providing a supporting hydrogen-bonded network. The aim of freezing drying biologicals is thus to maintain structural stability. 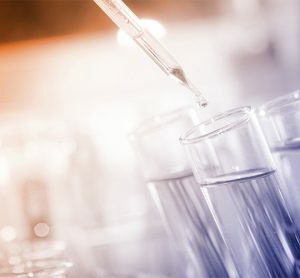 Lyo-protectants perform a similar role to cryo-protectants, but they also provide protection during the primary and secondary drying stages by raising the product’s Tg and collapse temperatures. Hydrophilic polymers, for example, polyvinylpyrrolidone, hydroxyl methyl propyl cellulose, and gelatin, have high glass transition temperatures. When included within freeze-dried products, as a result of volume additivity and miscibility, they raise the glass transition temperature of the resulting mixture and reduce the likelihood of collapse. When formulating non-biologicals such as naloxone HCl, the role of the lyo-protectants is associated with the specifications of the final product, especially dissolution and stability, rather than the maintenance of a molecular scale tertiary structure. Thus, polymers like gelatine are incorporated into freeze-dried products as they readily form amorphous mixtures with glass transitions above 50°C. However, when polymer concentrations are high, porosity and mechanical strength may be compromised. Thus, mannitol was added to the naloxone HCl instantly disintegrating buccal tablets (IDBTs) – not in its traditional role as a phase separator, but to intercalate gelatine’s tight aggregates and open up its structure. An overall amorphous matrix was required to maintain a very fast disintegration rate, and to do this sodium bicarbonate was added to prevent the crystallisation of mannitol. This ionic compound has strong affinity for mannitol, and thus prevents mannitol molecules nucleating and crystallising out. The successful formulation, which disintegrated in less than 10 seconds, contained 65%w/w gelatine, 24%w/w mannitol and 11%w/w sodium bicarbonate (Figure 2). No taste-masking agents were required as the patient is expected to be unconscious at the point of administration. 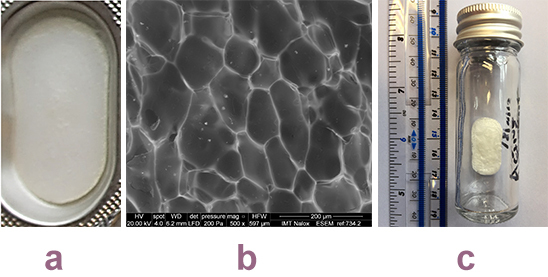 Figure 2: Images of the naloxone instantly disintegrating buccal tablets: a) Tablet in formed single blister well: b) Scanning electron micrograph of the structure of the surface of a tablet, showing the remaining amorphous solid solution and the impression of the sublimed ice crystals: c) Storage under nitrogen. Manufacturing limitations to the development of novel ODT freeze-dried formulations are packaging, taste masking, processing time, expense and stability. The naloxone IDBTs story has so far addressed two of these issues. Large aluminum blisters, supplied by Zhejang Xinfei Machinery, produced 30mm by 16mm flat tablets that were of appropriate dimensions for administration to the buccal area. For all ODTs – and especially freeze-dried formulations – the ingress of atmospheric moisture will trigger the disintegration process. For this reason, storage under nitrogen is required and, using this approach, naloxone IDBTs have shown chemical and physical stability for nine months thus far. Sealing blister packs under nitrogen is routinely carried out, however this will incur higher production costs. Even though the production of naloxone IDBTs has been transferred to our GMP manufacturing facility, in preparation for approved initial clinical trials, the freeze-drying cycle is long and will require optimisation in the future. Traditional dissolution testing (based on paddles or baskets) works well when the substance dissolves in approximately 15 minutes.16 However, for the naloxone IDBTs under discussion here, the target is a few seconds, meaning these methods are therefore not suitable, which gave rise to the development of a novel digital image disintegration assay (DIDA).13 This is based on an aluminium blister well placed on a black baseplate in a gel imager (GeneSnap) fitted with a water bath for temperature control (Figure 3-a). This allows images to be taken of the formulated tablet in the well during dissolution. Under indirect light the original tablet appears white due to light scattering and it becomes transparent in liquid form, thus showing the black base plate. This change in appearance is recorded using ImageJ software, which processes the images to compute the mean gray level. 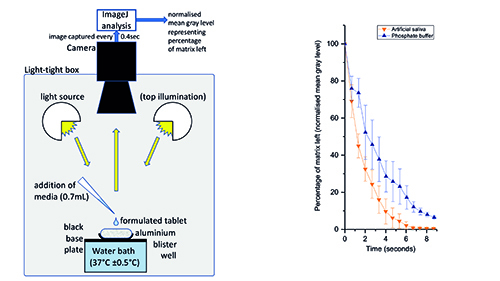 Figure 3a (left): digital image disintegration assay, showing the sample well, temperature control, illumination, and camera. Figure 3b (right): normalised mean grey level (indicating amount of matrix remaining) plotted against time for two fluids (PBS and synthetic saliva). Data from run at 35°C for 0.7mL addition, n=3. Synthetic saliva (according to the USP recipe) was pipetted into the well (0.7mL at 35°C) and a sequence of images taken at 0.4 second intervals. The mean gray level was recorded and normalised across the range, and the result shows a 90% disintegration time of six seconds (Figure 3-b). Other tests at differing temperatures from 33°C to 37°C showed very similar disintegration times (data not shown). 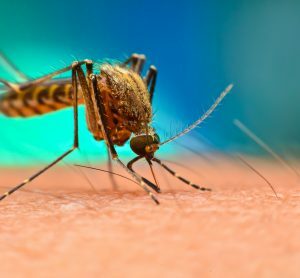 The development of new freeze-dried formulations within academic and clinical collaborations is relatively straightforward. Small-scale freeze-drying equipment is relatively cheap to buy and the protocols easily transferable into GMP facilities. The buccal naloxone development is progressing well; a small scale clinical trial has been approved and a patent application is progressing (No 1504482.9 Trans Buccal Naloxone). The next steps are partnering with suitable organisations to allow optimisation of the manufacturing process, larger clinical trials, and more engagement with those groups affected by opioid overdose. Thus, in summary, the development of novel freeze-dried ODTs delivering high-impact medicines is a potentially rewarding endeavour for academic collaborative groups or smaller pharmaceutical companies. However, such an approach is only possible if the drug under development is of high enough impact or value to warrant the potentially expensive manufacturing costs; if the dose required is low (10mg or below); and if administration via the buccal or oral route is appropriate. DR PATRICK COURTNEY is a partner at tec-connection, D78467 Konstanz, Germany. He has 20 years’ industrial experience in technology developments and has worked as director for global firms such as PerkinElmer, Sartorius and Cap Gemini. He has a long involvement in EU and national RTD programmes and leads a European working group on laboratory robotics. DR ABDULMALIK ALQURSHI is Lecturer in Pharmaceutics at Taibah University in Saudi Arabia, and Head of the Pharmaceutics and Pharmaceutical Technology Department. Dr Alqurshi’s research focusses on the design and development of novel oral formulations with enhanced disintegration and dissolution rates, as well as transferring bench formulations into Good Manufacturing Practice environments. PROFESSOR BEN FORBES is Professor of Pharmaceutical Sciences at King’s College London. He leads a large international research group investigating the fate of inhaled drug particles, in conjunction with working with King’s Health Partners, supporting the development of novel dosage forms. He has leadership roles with Academy of Pharmaceutical Sciences of Great Britain and International Pharmaceutical Aerosol Consortium – Regulatory Science. DR PAUL G. ROYALL* is Lecturer in Pharmaceutics at King’s College London, and Programme Director of the MSc in Pharmaceutical Analysis and Quality Control. Dr Royall’s research focusses on the use of materials science for the development of new dosage forms, especially freeze-dried and amorphous formulations to be administered orally. *Correspondence address: Institute of Pharmaceutical Science, King’s College London, Franklin-Wilkins Building, 150 Stamford Street, London SE1 9NH. PROFESSOR SIR JOHN STRANG is Head of the Addictions Department and Leader of the Addictions Clinical Academic Group of King’s Health Partners. He also has extensive experience as a lead clinician in charge of a wide range of treatments in community, and has been a consultant psychiatrist in addictions treatment for over 30 years. Proposal to Allow Wider Access to Naloxone for Use in Emergencies. 2013. 26 Jun 2015 [cited 2015]. Available from: www.gov.uk/government/consultations/proposal-to-allow-wideraccess-to-naloxone-for-use-in-emergencies. AMA Adopts New Policies to Improve Health of Nation on First Day of Voting at Annual Meeting. 2015 [cited 26 June 2015]. Available from: www.ama-assn.org/ama/pub/news/news/2015/2015-06-08-new-policies-annual-meeting.page. Community management of opioid overdose. 2014 [cited 26 June 2015]. Available from: www.who.int/substance_abuse/publications/management_opioid_overdose/en/. Pandey, Parijat P, Dahiya M. Oral Disintegrating Tablets: A Review. J. Pharma Res. Rev 2016;5:50-62.
t-Butanol oral risk assessment, executive summary. NSF-Toxicology-Services. documents.dgs.ca.gov/bsc/pex/exibit_nsf_t_butanol.pdf, (2003) (Date of access: 01/05/2014).